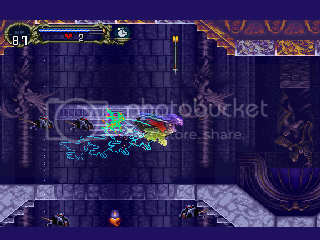 The game is a sequel of Akumajou Dracula Chi no Rondo on PC-Engine. 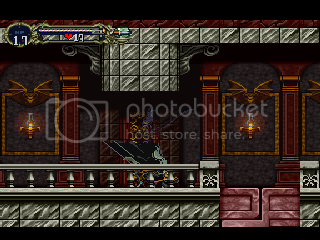 In 1797, the vampire hunter Richter Belmont was controled by evil force, Dracula's son Alucard must save him and defeat his father again. Japanese version named 悪魔城ドラキュラＸ 月下の夜想曲. 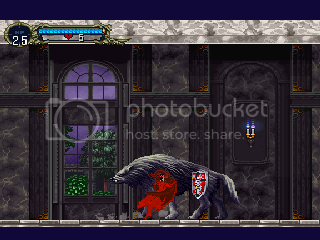 At prologue battle, if holy water and item crash hurt Dracula simultaneously, he loss HP heavily. And you can get a heart refresh if spend all of your hearts. Big toss, if a enemy hurt half or more of your HP, you would be tossed very long distance. I think everyone knows this. 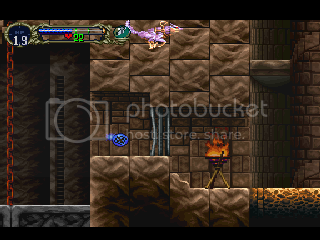 Edge travel, stand next to screen side, move to make the screen roll and game-pause simultaneously (use heart refresh, level up, etc), you can move over the screen. 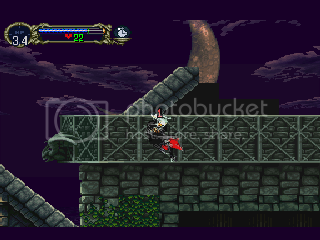 Wlof glitch, dash to a slope as a wolf, jump at a proper moment when you close it, you would sink into the slope. 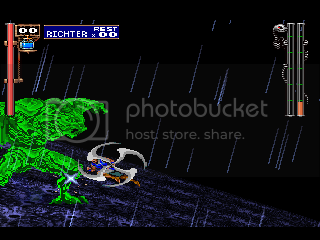 Infinite wing smash, enter the smash command repeatedly during wing smash. Shield skill, equip Mablung Sword (or Shield Rod) and any shield, press square and circle. 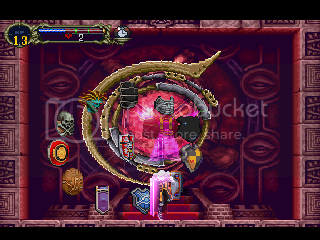 I used Alucard Shield skill that kill last bosses in couple seconds. 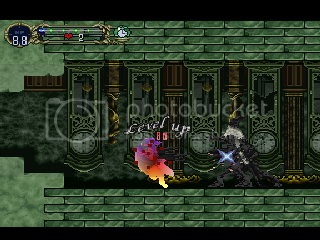 So, Dracula was colored! I used a password to unlock luck mode. In the mode, the hero has less HP, so big toss is easier to do. The mode is better for glitch run. 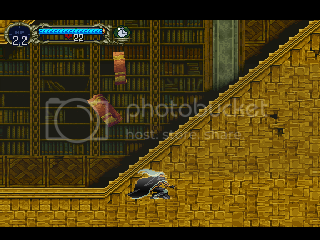 There is a little waiting times in clock room in castle center, I played with a flea man to make it not too boring. 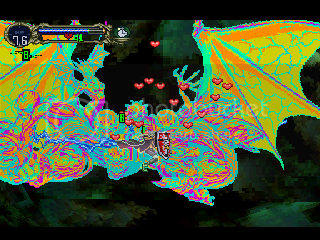 Some bosses were killed quite fast, in fact I manipulated lot critical on them, thanks pirate_sephiroth gave me memory adress. Before go to invert castle, I did normal dash there because I didn't have shield, equiping shield would spend more menu time. note 1: The encode. Thanks arukAdo for making it. note 2: possible improvement, I manipuleted 6 Manna prisms, but they seem not very enough, so I think that using the waiting time to get more would save several seconds more, perhaps. mobile_suit for his awesome speed run. pirate_sephiroth for his help and memory adress. arukAdo for his help and encode. mz for his great work on emulator development.